You’ll get out of our 11,000-member organization what you put into it by actively engaging in the vast professional network, using our research materials, joining your local chapter, consuming our content and investing in professional development. • Your membership in CoreNet Global gives you immediate access to more than 11,000 corporate real estate and related professionals. • Much like a gym membership, a CoreNet Global membership requires a little sweat equity to truly see results. • A CoreNet Global membership is also like an insurance policy - our professional network and resources are there when you need them. CoreNet Global provides you with opportunities to connect, learn, grow and belong, locally, globally and virtually through people, networks, knowledge-sharing and professional development. CoreNet Global aims to broaden its network, to raise the profile of corporate real estate (CRE), and serve as the profession’s voice and thought leader. Our goal is to support and position members to better meet strategic needs relating to the key business drivers that help CRE professionals stay relevant regardless of economic or market conditions. CoreNet Global’s signature event, the Global Summit, is held three times a year and convenes the corporate real estate profession in Asia, Europe and North America. Members benefit from exclusive discounted registration and early registration savings. The Global Summits offer hundreds of learning options, dozens of networking venues, interactive exhibits and provide a unique opportunity to connect with peers and discover the latest thinking on trends and issues impacting the business of corporate real estate. CoreNet Global Summits attract between 500 attendees for Summits in Asia Pacific and EMEA and 2,700 attendees for Summits in North America, attracting the very best minds in corporate real estate. The Summits offer opportunities for members to network, learn and be recognized for professional achievements. Case study presentations, interactive learning sessions, smaller interest group activities, executive development training and continuing education - all in one place over two to three days. During the Asia Pacific and EMEA Summits, the host city will often be highlighted by a site tour where attendees receive in-depth knowledge on a major local development project. Three Summits are held annually – in North America, Asia Pacific and EMEA. CoreNet Global Conferences are one-day regional events focused on exploring corporate real estate market trends and realities within and around the host country and region. Conferences attract about 100 – 150 attendees ranging from experienced CRE professionals to those just getting started in the profession. Expand your career through professional development with CoreNet Global and grow your leadership skills in development programs customized for corporate real estate professionals. *Note: You must be a registered candidate to receive a designation. However, seminars can be taken without becoming a MCR candidate. 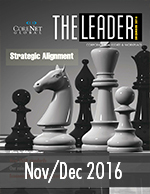 CoreNet Global's the LEADER, our quarterly professional journal, is your best source for corporate real estate news, trends, developments, and analysis. Received by more than 10,000 members globally, the LEADER is a direct avenue to our member base of corporate real estate executives, representing the elite of the profession. Offered as an online magazine, it is now more mobile and tablet friendly. Learn more . Whether you are looking for a broad, basic understanding of corporate real estate or digging deeper on a specific topic, The Essential Guide to Corporate Real Estate has the answers you need. For more information about The Essential Guide to Corporate Real Estate, Click here. Enhance your knowledge through the Knowledge Center, an online repository of the latest corporate real estate research news and best practices, featuring more than 7,000 documents, all in one place. Access white papers, survey reports, research and more. Throughout the year, CoreNet Global produces research relevant to the needs of corporate real estate professionals around the world. Contributions to this content come from various sources, such as research collaborations with Gold Strategic Partners, Global Footprint research, which looks at emerging economies, as well as Knowledge Communities and the Advocacy groups. The Pulse Blog – Keep your finger on the pulse of corporate real estate and participate in broader conversations about these important global issues. Connect with us. Offering opportunities to network across a spectrum of environments, CoreNet Global is continually working towards the forward momentum and advancement of corporate real estate. Interacting with peers through the various networking opportunities available through CoreNet Global is a strategic pathway to gain insights from like-minded professionals. CoreNet Global’s signature event, the Global Summit, is held three times a year and convenes the corporate real estate profession in Asia, Europe, and North America. Members benefit from exclusive discounted registration and early registration savings. The Global Summits offer hundreds of learning options, dozens of networking venues, interactive exhibits and it is a unique opportunity to connect with peers and discover the latest thinking on trends and issues impacting the business of corporate real estate. CoreNet Global Conferences are one-day regional events focused on exploring corporate real estate market trends and realities within and around the host country and region. Conferences attract about 100 – 150 attendees ranging from experienced corporate real estate professionals to those just getting started in the profession. The power of the CoreNet Global Network begins for many at the local level with hundreds of ways to plug into our vast network. There are 46 locally-based chapters and networking groups worldwide serving as key components of the global network. Chapters are the most cost-effective, convenient and accessible channel to programs and benefits including education and networking. CoreNet Global Membership includes a first affiliation with your local chapter. To learn more about your local CoreNet Global Chapter visit the Learn more about your local chapter. Members aged 35 years and under are eligible to participate in the Young Leaders Special Interest Group. Education programs and networking opportunities are planned for and by this energizing group of young professionals. Learn more about Young Leaders. Mentor Match, is one way we are assisting members to connect in a meaningful way to promote dialog between corporate real estate (CRE) professionals. Mentors and Mentees can connect with other like-minded professionals. Thanks in large part to support from our Corporate and Strategic Partners, CoreNet Global is able to offer the kind of innovative programs and research projects that members expect from their professional association. Designed for end-user companies, the Corporate Partner Program is an inclusive welcoming community of peers, mentors, colleagues, thought leaders and subject matter experts. As key service providers to the corporate real estate profession, CoreNet Global’s Strategic Partners have privileged access to the latest information and research impacting CRE through the Knowledge Center. CoreNet Global's advertisers, exhibitors and sponsors are some of the most successful real estate service providers and economic development organizations in the world – market savvy professionals who know how to leverage their CoreNet Global involvement into deal-making opportunities. Exceptional exposure to current clients and prospects in a professional environment helps them develop crucial relationships and attract new business through Media Opportunities, Learning Sponsorships, Partner Programs and Summit Opportunities. Get recognized, create exposure, increase awareness and develop partnerships. Become a Strategic Partner or a Sponsor. Take advantage of opportunities to connect online with CoreNet Global’s diverse worldwide membership of corporate real estate professionals, service providers, and economic developers through the online member directory, events and local chapters. CoreNet Global’s Online Career Center includes a searchable jobs database where you can post a job listing or search for corporate real estate jobs. Get expert advice and career tips from career focused knowledge and research resources available in the Online Career Center. Learn more. Volunteerism is a vital part of any association experience. The ability to give back to the profession is a powerful one and members are encouraged to consider serving in a volunteer leadership role at a local or global level. Look for notifications about our annual nominations process. Find out how you can volunteer with your association. Earn recognition from your company and peers through awards programs focused on innovation and excellence. Get recognized for your contributions to the corporate real estate profession, your corporation, and the association. A number of awards programs are offered throughout the year. Professional Excellence Award - CoreNet Global’s Professional Excellence Award celebrates innovation in management and work processes, specifically as it produces world-class, superior performance and delivers a desired, measurable and sustained result. Sustainable Leadership Award - CoreNet Global’s Sustainable Leadership Award celebrates work that accelerates the adoption of environmentally friendly and socially responsible real estate practices. Global Innovator’s Award - GIA - The H. Bruce Russell Global Innovator’s Award (GIA) recognizes excellence and innovation in corporate real estate (CRE). Since 2000, the award has honored the “game changers” in CRE — those individuals and companies whose work, ideas and best practices elevate the practice of corporate real estate. Nominees for the GlA are selected from project submissions across these awards: Sustainable Leadership, Economic Development and Professional Excellence. Learn more. Chapter of the Year - CoreNet Global recognizes two CoreNet Global chapters annually (one small/medium and one large/mega chapter) aimed at raising the profile of corporate real estate and recognizing the profession’s contributions to enterprise success. Learn more.